Sending a Gift has never been easier! 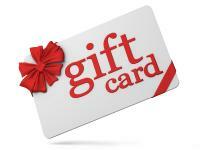 Select a Gift Card, and a Greeting Card to place it in (optional - add $5). We will do our best to personalize your order for you if you wish. Just let us know what we can do. Please enter specific instructions in the box in the shopping cart.